I have 2 google user account, let’s call them A and B. A is my primary google user account and used to login to gmail, youtube, google webmaster tools and other google properties. B is used just for login to google chrome developer dashboard for publishing google chrome extensions and apps. Since all my web properties are added into google webmaster tool using A, chrome developer dashboard needs to know that B is also an owner of a website if a chrome app was built for that website. 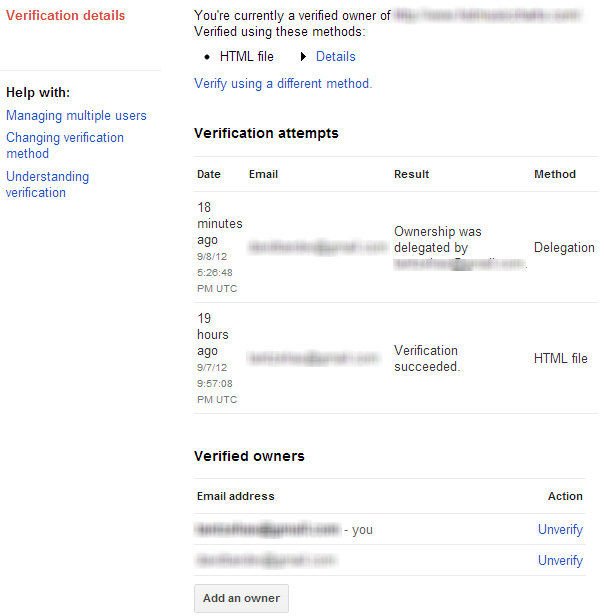 You can do that by logging into google webmaster tools using A and adding B as the owner. Note that I said add as owner, not as a new user. If you get app url incorrect/inaccessible/permission denied when adding your app/extension in google chrome developer dashboard, it’s because you’ve added B as a new user instead of a new owner in A’s google webmaster tool.